Cough may be defined as a repetitive reflex action that keeps the breathing passage, lungs and throat, clear of irritants, external particles and fluids. Cough is normally an indication of some other disease or infection inside the body. sometimes it is a reaction of some external attack like dust, smoke or allergy. Acute cough is normally caused by virus and stays for three weeks. Acute cough may be dry without mucus or wet with mucus and fluid sensations in the throat. Acute cough is caused by viral infections like of flu, cold, bronchitis, pneumonia and sinus infection. A cough prolonged from three weeks up to eight weeks. Normally sub-acute cough needs no special medical treatment but if symptoms get severe then doctor needs to be consulted. The leading cause of such cough is dripping in throat after flue, asthma or it may be post infectious. The cough that is prolonged to more than eight weeks is categorized as Chronic cough. Main factors leading to the chronic cough are hard to find without performing specific tests and once diagnosed it’s better to see some specialist. 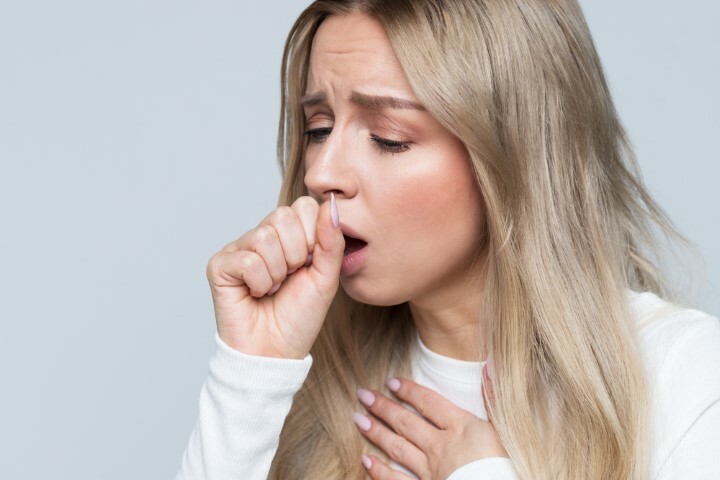 Basic cause of chronic cough is smoking but many other factors like allergies, asthma, lung and heart diseases, fluid inside nasal cavity and some specific medicines can lead to chronic cough. The apparent condition of patient is enough to describe the problem but in some cases doctor may suggest some tests or scans to know the true picture and cause of the cough. Doctor can check the chest and back of the patient thoroughly with the help of stethoscope or applying pressure with his hands. An X-ray or MRI of chest may be the next step if doctor finds the cough an indication of some other problem like lung diseases and pneumonia or any other infection. The doctor can perform some lab tests using the phlegm collected inside the throat during the cough if color of phlegm is suspicious to check the bacterial infection. Scope test the final solution if doctor fails to find the reason behind the cough after performing all scans and tests. Doctor can perform either Rhinoscope in which nasal passage is checked with the help of a tube or Bronchoscope in which a flexible thin tube is passed through the throat to the lungs. the tube contains a camera that shows the true picture of lungs or air passages. A small tissue sample may also be collected from inside lining of the airway to check thoroughly for expected abnormalities. Bryonia is a magical homeopathic remedy in case of dry and harsh cough. Dry cough causes the irritation inside the throat especially while speaking and lying. Bryonia helps in relieving the irritation as well pain. It also helps to cope with frequent need of water as it puts the throat to ease. The intense cough that comes abruptly with severe symptoms can be very well treated while using Belladonna. The tickling sensations inside the throat with the feelings like bursting of head demand for such remedy for instant relief. Other symptoms indicating towards Belladonna are red face, heat sensations or dilated pupils. A best remedy for the cough when it is caused due to some allergy attack or cold, but at its early stages. 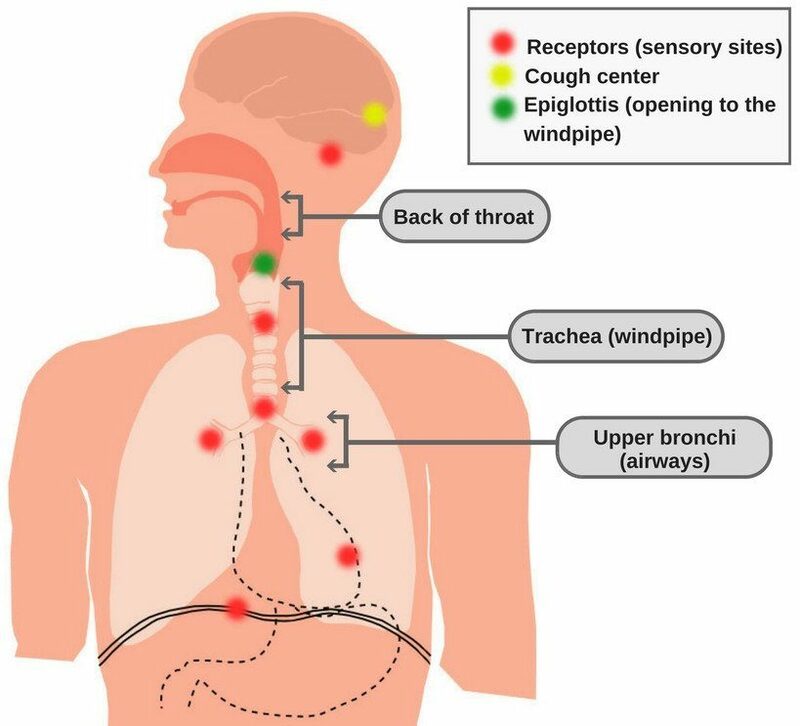 Such cough has tickling affect with severe pain but for stays for short period. It is observed to get worse when exposed to cold air, in the night and at the time of early morning. Ferrum is the best remedy for such type of cough to get instant relief. The patient experiencing cough with the symptoms of hoarseness, pain and itching in the throat with the feelings of cold travelling down to the chest can get the best Homeo medicine, Phosphorus for the relief. Phosphorus is especially best when the cough is associated with some actions like laughing, going in cold air, talking and sleeping. This medicine also controls the urge of cold beverages in the patients normally seen during cough attacks. A sharp, dry and constant cough that comes suddenly after passing through some trauma or exposure to cool breeze demands Aconitum Napellus as the best remedy. This remedy is suggested when the cough starts while sleeping with such intensity to make patient awake. Such cough can also be the result when moving to some warm place from cold place. Aconitum is also best to relieve the restlessness associated to cough as seen in asthma. Some emotional human reactions also lead to coughing like anger or overexcitement. In such cases a dry and irritating cough may hit the person. Chamomilla is the best option fro the persons who experience such problem. Other possible symptoms that ask for Chamomilla are hypersensitive nervous system, asthma attack, yelling in children and exposure to cold air. The dry teasing cough with the congestion of chest indicates towards the Homeo remedy Nux Vomica. Such cough worsens in the morning sometimes causes the patient to feel soreness inside the chest with the cutting pain in the chest and abdomen with the urge to vomit and headache. This medicine is especially for the patients who become oversensitive and highly irritable due the cough and feel the severity in the problem with exertion. The cases where cough prolongs for more than a week with the same pace having symptoms of irritation, burning and difficulty in breathing while sleeping demands Sulphur for the relief. The patients who need Sulphur often show redness of their eyes, burning sensations and foul odor. Wet cough causes the irritation due to the accumulation of yellowish fluid inside the nasal cavity and throat. Kali Sulphuricum and Pulsatilla are two best remedy for such irritating wet cough associated with phlegm. Kali serves the best when the symptoms of the disease get worst inside the warm areas while Pulsatilla is to relief wet cough triggered inside the bed. The cold air may cause the throat scratched that is more likely to trigger dry cough. Rumex Crispus helps in relieving the scratched throat and the cough resulted in such case.